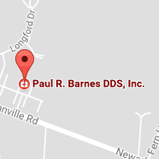 What Sets Us Apart - Dentist Granville OH | Paul R. Barnes DDS Inc. Since 1979, we have made every effort to create a comforting office that represents us. We pride ourselves on our expertise in the areas of general, pediatric, and cosmetic dental care. With us you know you have a staff with a vast depth of experience and a doctor who enjoys his job. We have created an office space that is as comfy as home! Warm up by our fireplace in the reception room in our open, door-less office design. We love being here because we love what we do, and a big part of that is being comfortable while we work. Whether you are bringing your children or teens here or coming for cosmetic service, we provide for your every need. Our impressive list of services crosses the paths of preventative dentistry, general dentistry, restorative treatments, and pediatric dental work. We use the newest technologies and boast great expertise with techniques to enhance your smile via the best cosmetic dentistry available from Zoom!® Whitening to Invisalign®. Over our long history we have found that one of the most important ways to provide the best service possible is to remain directly involved with the professional community. We believe strongly in providing you the very best technologies and skills available and tried to perfection. A big part of this is being part of major professional organizations. We proudly share and learn from the American Dental Association and the Ohio Dental Association. We understand that you cannot schedule when emergencies happen, so we have an emergency contact number that will always put you in contact with one of our contacts. We will always be there when you need us.